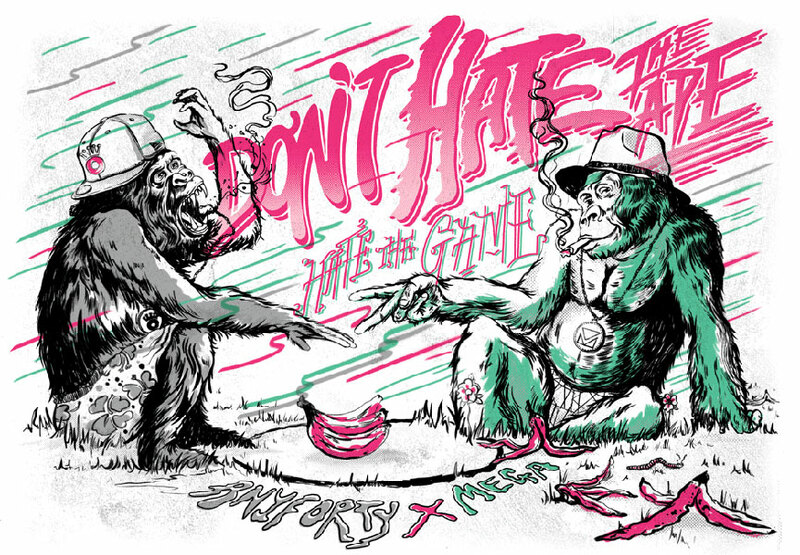 British illustrator Ollie Munden (aka Megamunden) has an ongoing solo show at No Walls. 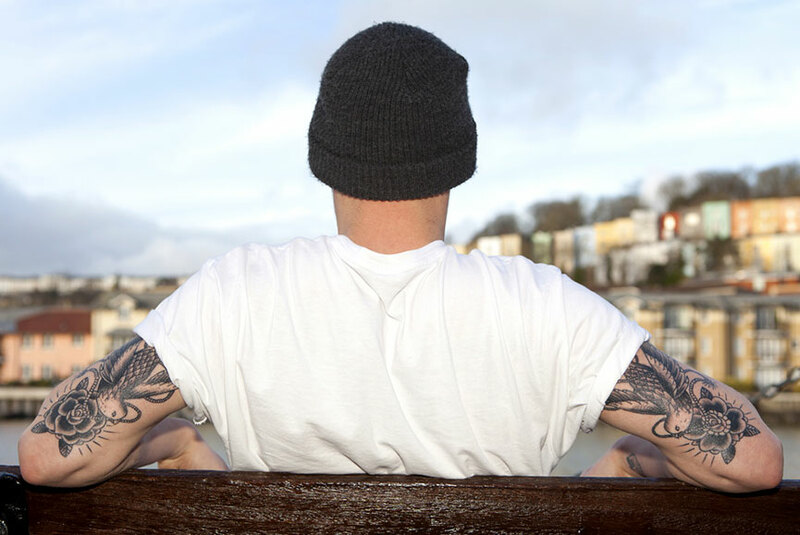 The show marks the opening of the gallery’s new building whilst acting as the perfect follow up to the worldwide success of Megamunden’s ‘The Tattoo Coloring Book’ published in 2013 by Laurence King Publishing. 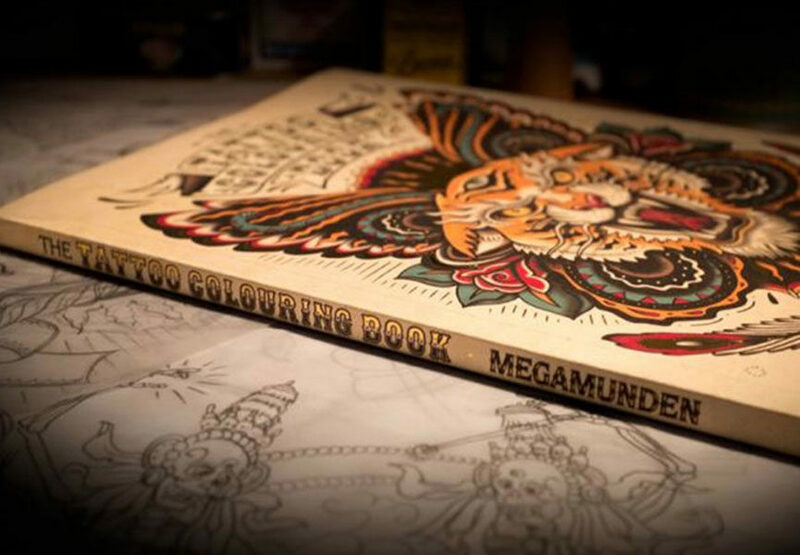 In recent years MEGAMUNDEN has immersed himself in tattoo art and culture which led Laurence King Publishing to commission ‘The Tattoo Coloring Book’. 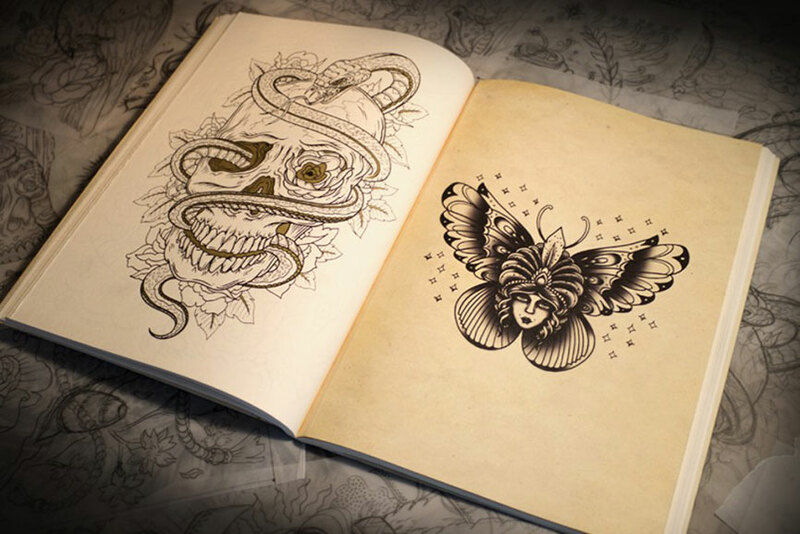 The book is filled with 120 hand drawn illustrations of pinups, butterflies, skulls, tigers, dragons, birds, fish, and other classic designs. Looking to American and Japanese influenced tattoo styles, ‘The Megamunden Show’ also shed lights on Megamunden’s signature style developed during his time creating the book. The show covers not only his original illustrations and prints on wall but also Megamunden’s illustrations onto sculpture, leather products, fabric and even musical instruments. 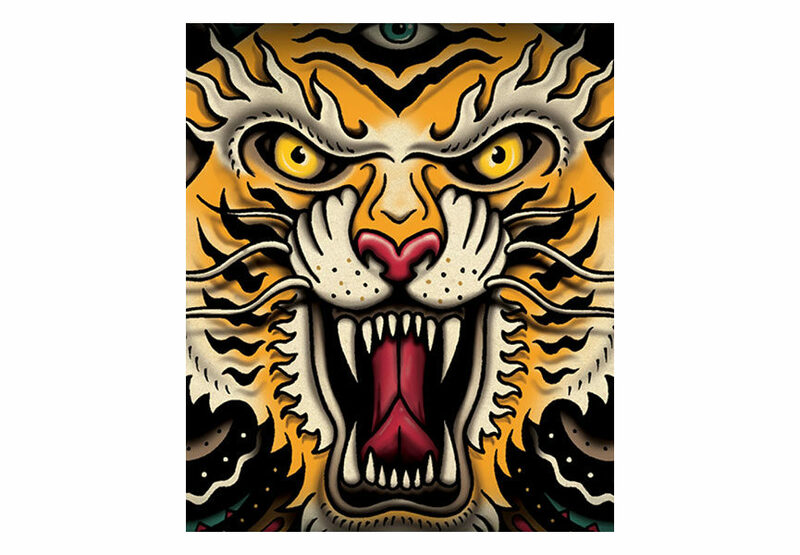 Collaborations with Raw & Auburn, Pedro Oyarbide, Shaun Swainland, Josh Munden and Jeff Nichols are also included. 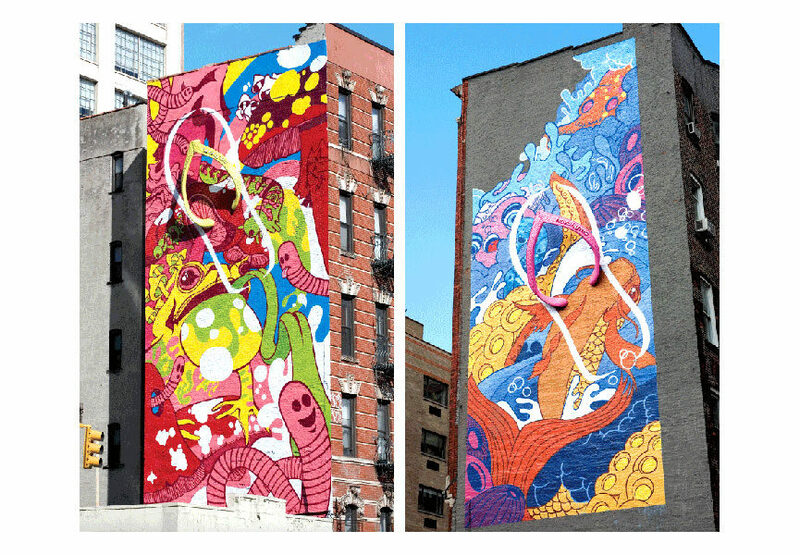 MEGAMUNDEN leaves a trail of work on walls, billboards, magazines, figurines, products, paper and skin; from crafting for corporate giants to meticulous tattoo designs for private clients. Vintage skate art, psychedelic style, nature and an essence of the Far East are all combined to create MEGAMUNDEN’s signature melting-pot style. Clients who have fallen for MEGAMUNDEN’s distinctive designs include Nike Snowboarding, Volvo, Carhartt, Howies, Penguin and Levi’s. MEGAMUNDEN also works full-time as Lead Designer at ILoveDust, a multi-disciplinary design studio specialized in creative solutions from graphic design and illustration to animation. No Walls is an independent gallery based in Brighton, UK that opened its doors in December 2010. From a spare room, a few prints and a simple website, the gallery has grown into one of the UK’s most exciting independent galleries. The new gallery is located in 114 Church Street in the heart of Brighton’s cultural quarter.